A lot of us in the autoimmune community take supplements. Sometimes they help, sometimes they harm, and sometimes they do nothing at all. Today, we’re going to learn how to make informed choices when it comes to supplementation. 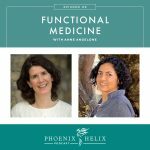 My guest is the director of Examine.com, a website that shares unbiased research into supplements and nutrition. Disclaimer: Neither Kamal nor I are medical professionals. This program is educational and is not a substitute for medical advice. Always consult with your doctor when adding supplements to your healthcare protocol. The Phoenix Helix Variety Pack is a selection of my favorite, nutrient-dense AIP foods, permanently discounted $20. 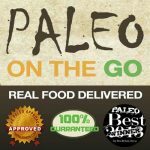 If you're not familiar with Paleo on the Go, they are a frozen meal delivery service, they have a large menu of items for the paleo autoimmune protocol (AIP). I take the meals with me on vacation, and keep a stash in the freezer for emergencies. Use the coupon code PHOENIX for 10% off your first order. Kamal is the director of Examine.com. His passion for nutrition began in college, originally related to his goal to gain muscle, but eventually with a focus for pain relief. Kamal has Ehlers-Danlos Syndrome, a condition that results in faulty collagen production, which left him prone to injuries and joint pain. It's a website that shares unbiased research into supplements and nutrition. They don't sell supplements, nor do they have any relationship with supplement manufacturers. The vast majority of what they offer is free. They do sell 3 additional resources to help cover expenses: Stack Guides, Supplement Goals Reference, and a monthly Research Digest. Examine.com looks at all studies through a Human Effect Matrix: (1) Was this study done on humans rather than animals? (2) How large was the beneficial effect – strong, notable or minor? (3) How strong is the evidence for that effect? Was it a large study? Do other studies confirm the results? And what was the quality of those studies? (4) What were the demographics of the population studied – gender, age, race, health status, etc.? Be wary of media headlines which exaggerate results, and abstracts which can summarize results in a biased way. You need to look at the entire study. Examine.com employs research specialists to analyze the full research and report it in layman's terms. How to Read and Understand Scientific Research. Why Scientific Studies Are So Often Wrong. Even though Examine.com focuses on supplements for health, here's what they say on their website: ““Our recommendation is to always fix your diet, exercise, and sleep before worrying about supplements.” Lay the foundation first. They are the most powerful interventions. Resource Article: Where Supplements Fit on a Healing Diet. If you're struggling with sleep and need immediate relief, Kamal recommends sustained release melatonin, but only for 1-2 days at a time. To truly address sleep problems, follow the tips in this article: Can Skipping Sleep Cause An Autoimmune Flare? If you're considering opioids for pain relief, try supplements first, since they are less addictive with fewer side effects. Try supplements one at a time, as a controlled self-experiment. It's difficult to address pain, because there are many potential causes. However, one supplement Kamal recommends trying is Curcumin. Research shows that it can help with pain and inflammation. There are two kinds: (1) Supplements that have been enhanced to be more bio-available: BCM95, Meriva, or Black Pepper/Bioperine (2) Pure curcumin which isn't bio-available, but then focuses completely on gut inflammation. You can experiment with both kinds. Vitamin D is one of Kamal's research specialties. He recommends testing your Vitamin D levels and ensure you aren't deficient. There's a lot of controversy on optimal levels, but Kamal said that 35-50 is a healthy range. Elevating your levels to 80-100 carries risks for developing other health problems. His recommended method of getting Vitamin D is sunshine. Take advantage of the summer; your body will store the Vitamin D for winter. The gut is a great target for supplementation, because all you need to do to is swallow. There's no worry about bio-availability or reaching a different area in the body where you're experiencing the problem. Supplements Kamal recommends for gut health are: pure curcumin, zinc-carnosine (combined), and EGCG green tea. He said he can't name them all, but this is a good place to self-experiment. Overall, Kamal thinks this supplement is over-hyped. If you have trouble with your joints or skin, it's worth experimenting , but it's not a miracle cure. The one area of research that shows promise is rheumatoid arthritis. Undenatured collagen capsules can potentially have an immunosuppressive effect. Kamal doesn't believe in taking supplements forever. However, he also says when experimenting with supplements, you need to take them at least one month to test the potential benefit. This often means buying two bottles, not just one. When it comes to probiotics, there's a lot we don't know. They'll never do research comparing fermented foods to probiotic supplements, because who would fund it? Some people tolerate fermented foods better than probiotics – and vice versa – so this is an area where you can experiment. 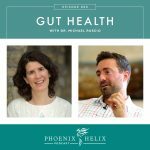 If you do take probiotics, Kamal recommends taking prebiotics simultaneously – this is food that helps the bacteria multiply. Always start small – open the capsules and take a little of the powder first and slowly titrate up over the course of days, based on how your body responds. If you are dairy-intolerant and/or following the paleo autoimmune protocol, read labels carefully and choose a dairy-free brand. New research into probiotics is also changing old beliefs. For example, they found that many times, probiotic supplements actually don't contain live bacteria. So the expectations is that they wouldn't be therapeutic. But a study found that the dead bacteria can have a positive effect on the immune system as well. Another example of changing information is that helminths were once considered a parasite to be eradicated and now they are being studied as a therapy for autoimmune disease. 20 Things You Didn't Know About the Human Gut Microbiome. Magnesium is an important supplement but also over-hyped. It's not a miracle cure, but it can be a helpful supplement since many people are deficient. Avoid magnesium oxide which is poorly absorbed by the body. Chose chelated magnesium supplements instead. Mineral water and trace mineral supplements can also be helpful. Don't buy into supplement hype. They aren't panaceas and don't make up for unhealthy diet and lifestyle choices. However, they can sometimes be helpful with symptom management. Disclaimer: This podcast is informational and not a substitute for medical advice. Always consult with your doctor before doing supplement experiments. 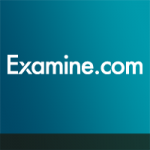 Research supplements fully through Examine.com. Consult with your doctor. Choose one to try, and try it for a full month. If it helps, continue taking it. If it hurts, stop taking immediately. And if it makes no difference, stop taking at the end of the month trial. The only exception to this rule is a supplement that has strong clinical evidence for addressing your health concern in a way that you cannot feel. Then, you might take it longterm based on your doctor's advice. 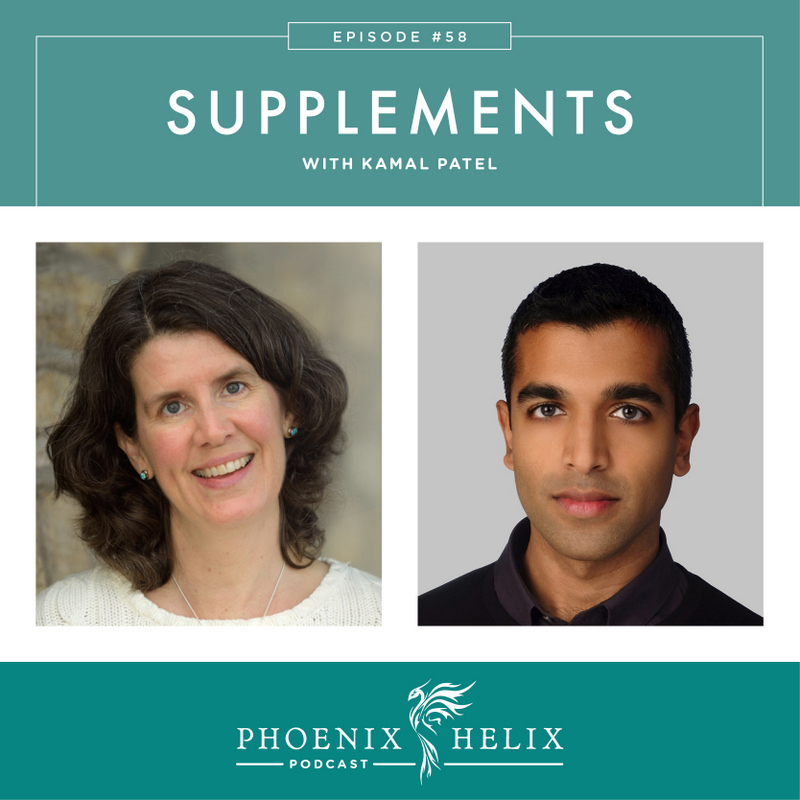 Kamal also clarifies between complements and supplements. He sees complements as filling in something that's deficient in your diet or lifestyle (such as magnesium or vitamin D), and those are usually safe to take longterm. Supplements address a medical concern and should be approached like a medication experiment. Tell your doctor. Try one at a time. And be aware that there are very few studies done on the longterm effects of supplementation. Read labels carefully so you know what's in the bottles and look for an allergen statement. Many supplements contain things like corn, soy, dairy, nightshades, gluten and other grains. Beware of supplement fraud. Buy from brands you trust. Don't shop for the cheapest price. Look for quality testing done by independent labs. For example, IFOS tests quality for fish oil supplements. You can also verify your supplements with a watchdog website like: Labdoor.com. Examine.com shares unbiased research into supplements and nutrition. The vast majority of what they offer is free. They do sell 3 additional resources to help cover expenses: Stack Guides, Supplement Goals Reference, and a monthly Research Digest.